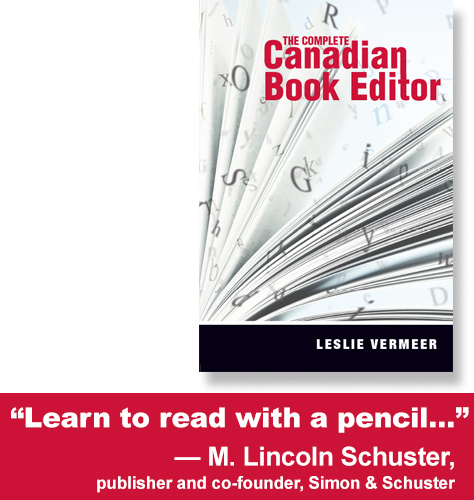 In Cammie Takes Flight, readers find Cammie Turple at the Halifax School for the Blind in the early 1950s. Having left a pile of trouble behind, Cammie is meeting new people and making new friends, but she hasn’t forgotten her best friend, Evelyn Merry, and she can’t seem to shake her overbearing Aunt Millie. But now she’s also free to find her long-lost mother and solve the mystery of her origins. What kind of trouble could that possibly lead to? This middle-grade novel is the sequel to 2014’s Flying with a Broken Wing, but stands alone just fine. Cammie is a plucky, refreshing heroine who will charm her way into readers’ hearts. She has a quizzical way with a simile, and her command of mid-century “tough” talk is endearing. Even more endearing is Cammie herself, though. Cammie is one of those rare characters a reader might like to have as a friend in real life. A poignant blend of loyalty, vulnerability, bluster, and plain good sense, Cammie doesn’t allow her limited eyesight — or anything else — to hold her back. Her quest to find her mother may not turn out the way she expected, but we know that Cammie will be okay. Readers who like historical fiction will enjoy this novel, as will readers who like character-driven stories. 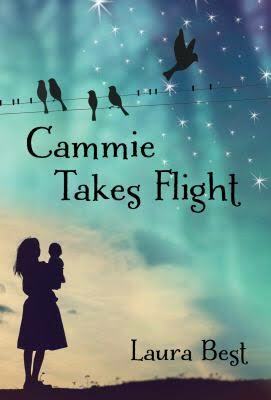 Cammie Takes Flight is a funny and touching book about friends, family, and making the best of what you have. It deserves to be widely read and celebrated. This review was originally published in Resource Links, June 2017. A Day of Signs and Wonders imagines a meeting between two Victorian daughters: Kitty, who grew up to be Kathleen O’Reilly, best remembered today for her home, the Point Ellice House historical site; and Emily, who grew up to be Emily Carr, one of Canada’s most identifiable painters. On the day of their fictional meeting in 1881, Kitty is a sad thirteen-year-old, devastated by the loss of her younger sister. Nine-year-old Emily runs into Kitty while Emily is making an early-morning escape from her crabby guardian. The juxtaposition of Emily’s energy against Kitty’s reserve produces a beautiful play of contrasts in a complex, richly woven text that will appeal to anyone who enjoys historical fiction. A spider’s web stretched from the gatepost to a lavender bush. The droplets on its fragile strands made a perfect pattern of shimmering beads. The day was brand new, like a piece of clean paper waiting for someone to draw on. Despite the bright sun the air was chilly, but Emily didn’t care. She had escaped! I’m free! gloated Emily. Free of stern Mrs. Crane, free of failing miserably to behave. Emily despises the restrictive clothing she wears as a young girl, particularly her pinafore (which becomes an element of the plot). She also enjoys food and responds strongly to beauty and sensuousness. She feels her emotions unreservedly and speaks her mind freely — indeed much too freely for the uptight Mrs Crane, who is watching Emily and her sister Alice while their mother recovers from a serious illness. Kitty, on the other hand, reads as dreamy and ethereal, but is desperately sad. Yet something about Emily’s wildness appeals to Kitty, and she invites Emily to spend the day with her. Kitty has largely internalized her lot as a Victorian female, but she’s struggling: with her sister’s loss, with her own imminent departure for boarding school, and especially with a future that will pull her away from the home she loves. As the girls play and get to know each other, they reveal more about themselves and their fears, creating a gently literary experience for young readers and offering moments for readerly reflection and insight. A Day of Signs and Wonders is an accomplished book by a talented author. It should be a high-priority acquisition for school and public libraries, and will make an excellent addition to classroom libraries. 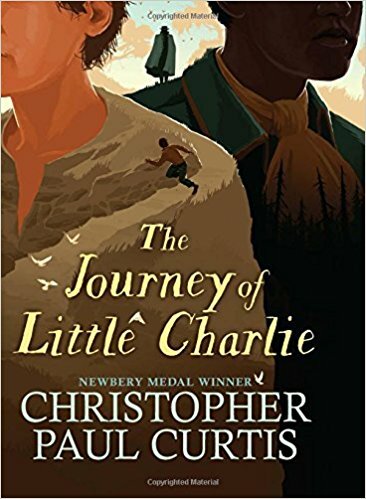 It could easily be taught as a novel study, or used as an independent novel with a strong upper-elementary reader, particularly one who is ready to leap beyond the Little House series and into Anne of Green Gables or similar books. The novel will stand up well to re-reading, and its layers of imagery and patterning will reward the attentive reader. It is also, incidentally, a physically lovely book; the cover is delicate, almost airy, and the French flaps evoke an older style of publishing, a book that is special, even precious (although some boys may not respond well to it). The map at the front of the book is a great artifact for readers who have visited present-day Victoria. They can try to map their own visit on Emily’s Victoria; key landmarks will help with orientation. 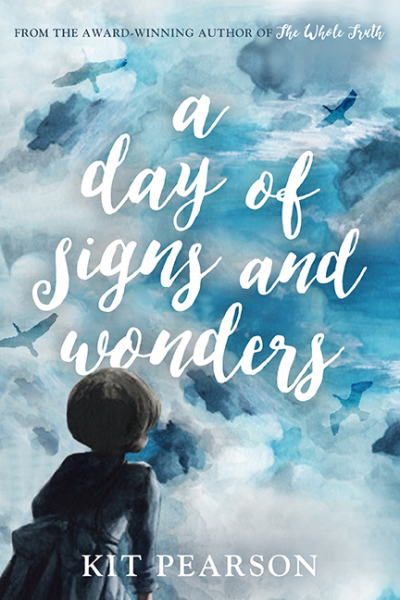 A Day of Signs and Wonders is one of my favourite middlegrade books of 2016. I strongly recommend it. This review was originally published in Resource Links, December 2016.